Cinnamon is a small evergreen tree that belongs to the family of Lauraceae. The spice is obtained from the tree's bark and the oil is extracted using the CO2 extraction method. 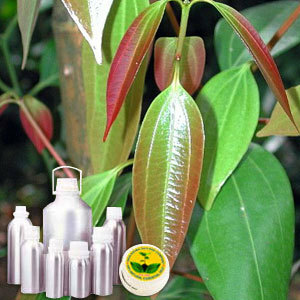 The main chemical components of the essential oil, obtained from the leaves, are eugenol, eugenol acetate, cinnamic aldehyde and benzyl benzoate. A middle note with a medium aroma, has a fresh Characteristic cinnamon odor. Cinnamon CO2 Extract Oil mix well with benzoin, cloves, coriander, cardamom, frankincense, ginger, grapefruit, lavender, rosemary and thyme. The cinnamon is used as spice and finds usage in various food and cosmetics preparations such as chocolates, creams, lotions and soaps.